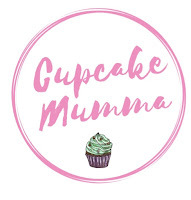 Cupcake Mumma: Summer Plans ~ Featuring Roberson Wine! Summer Plans ~ Featuring Roberson Wine! We are now 1 week into our summer holidays and so far, it's been pretty chilled. We have seen plenty of family already and are planning to see more in just a couple of weeks (we are very excited about this!) We have enjoyed the sun on our back garden, done some messy and imaginative play but we have plenty more to look forward to! As we live in Cornwall it would be rude to not pay a visit to the beach at least a few times! I would like to visit my parents who live right by the beach and a beautiful harbour and team up with Mr B's sister and her 4 little ones for a big old family beach day out! I think it'll be great fun..Get out the bucket and spades! We need to have a few of these! It's my Mums' birthday this month so I think we will have to have one for that (so long as we are blessed with the weather!) I also want to get family over to our house when we have bought ourselves plenty of BBQ bits. I want to share this Roberson Wine info graphic with you, I had NO idea you could make cocktails with wine! I've only recently started having a small glass of wine or a little bit of Mr B's cider but I've never made cocktails and they seem like something fun to introduce to a family BBQ! I particularly like the sound of the Red Hot Summer cocktail. How about you? We live near a modest sized museum in Truro which costs you about a fiver to enter and then you have free entry for the whole year! I really love the museum and I know a friend of mine does too so we are going to take both of our brood on the train to enjoy some museum based crafts, see a mummy and explore some Cornish heritage. Midge wants to get her ears pierced and take an open top bus around Penzance with all of us plus Grandma. I'm really pleased about this because I've not been on an open top bus around Cornwall since I was quite young! Little A has requested a bouncy castle. Now, there is actually a park locally where on a very good day they put up a selection of bouncy castles for the children to play on. I'm not sure if we'll do this but it does sound fun for both of them. He also wants to camp out in the garden again and I'm up for that! What are you plans for summer?